While there wasn't a whole ton of participation there definitely was a whole lot of quality. Neryl started off with a score that was higher than mine in Hotline Miami at which point I decided to not let it stand. At this point Stranger made it his mission to try and beat me utterly and completely. My 45K fell to his 49K score at which point I raised my score to 62K. Stranger would not let this stand and we went back and forth with me finally edging out with a score of 69780, barely edging out Stranger's score of 69403. To Stranger's credit, as of this writing he is ranked at 108 on Steam which is impressive all on his own. I'm almost certain that given a bit more time he would top me. 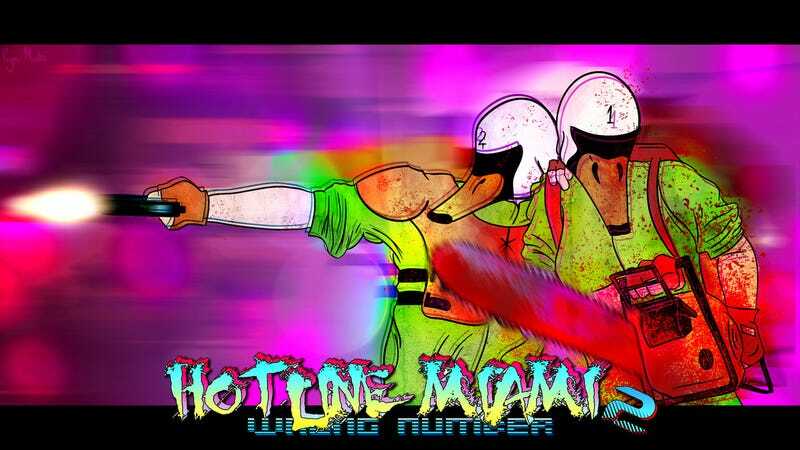 As for Hotline Miami 2, PSWii2008's original 165K score beat me original score of 140K on his first post. I gave it a little bit of a try and came out with a 180K score but PSWii2008 proved himself the better Twin with a score of 189590. Thanks to everyone that participated and keep an eye out for the next challenge!